We need to see the bigger picture and consider the wider implications of changes effected to cultural built heritage. This is the insight that I have gained from a trail blazing academic article written about heritage protection. Nir Mualam and Rachelle Alterman (refer to reference below) have judiciously considered the type and range of issues that come up when one is dealing with heritage protection in the context of private and public property rights, economic and social implications as well as the impacts upon architectural composition and urban context. They have skilfully sorted through the range of issues which come up when dealing with cultural built heritage and they have divided the issues/concerns into the five categories mentioned above. 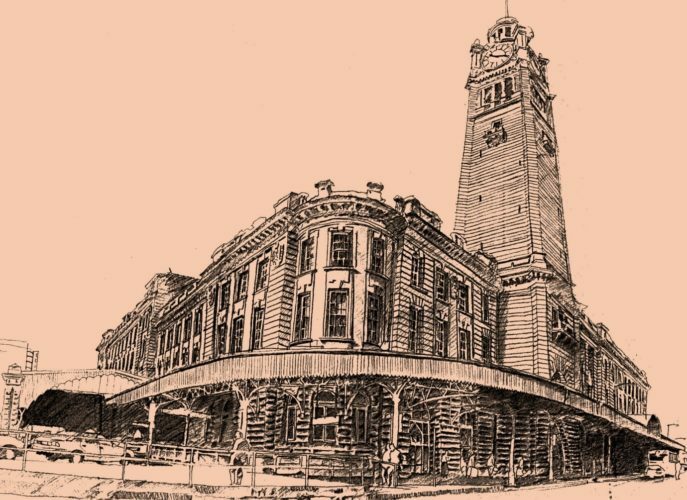 Fig.1 – Central Station, Sydney (NSW) Australia. Sketch by Caroline Koo – 1994. The purpose of this article is to reframe the questions that one needs to ask when assessing heritage impact and like the article by Mualam and Alterman mentioned above, I have followed the same five categories. Criterion 1. Considerations relating to architectural and design issues in the context of heritage protection. • Does the design advance heritage protection commensurate with its environment? • Does the design advance arts, crafts, styles and diverse building methods? • Does the design promote visual coherence? • Is the design architecturally intelligible within its heritage setting? • Does the design foster a credible professional contribution to the heritage setting? • Is the design over sentimental? Does it advocate obsolete styles and structures? • Is the design grounded in a recognisable set of architectural values? • Does the design advance subjective preferences and value-judgments which may result in the diminishment of the heritage setting? Criterion 2. Considerations relating to urban-planning issues of heritage protection. • Is the subject design an over-development on the fine-grain character of its heritage setting? • Does the design promote extreme changes to the built-fabric? • Does the design facilitate heritage protection? • Is the design a holistic quality development? • Does the design contribute to the townscape/streetscape/area-character? • Does the design promote a contemporary approach for the newer buildings and improvements to the built fabric within the heritage context? • Does the design facilitate urban regeneration and heritage protection? Criterion 3. Considerations relating to the socio-cultural issues of heritage protection. • Does the design advance an array of social, historic, local and national heritage values? • Is the design cognizant of the importance of heritage insofar as future generations are concerned? • Would the design result in a loss of collective memory? • Would future generations likely benefit from the heritage approach taken in the design? • Would the design contribute to local community-building, social relations and community ties? • Is enough of the heritage fabric on the site being conserved? • Would the design create social fragmentation and exclusion? • Would the proposal strengthen local, state or cultural heritage values and activities? • Does the design approach taken result in a commodification of the heritage resource? • Are there any instructive cultural heritage and educational benefits that could be derived from the project? • Would the design increase public accessibility to the historic resource? • Does the design promote a quality of living? • Does the design extend housing, office, industrial or other supply by retaining an old stock of buildings? • Would the design contribute to a gentrification of the subject area? • Would the design allow for a diversification of structures, communities and activities? Criterion 4. Consideration of issues relating to the economic aspects of heritage protection. • Does the design reinforce commerce, tourism and employment? • Would the project generate financial benefits for the community in terms of jobs, growth and employment? • Would the proposal result in an increase in the utilisation and the value of the subject land? • Would the design inhibit or advance the introduction of new technologies? • Does the project rely on heritage incentives, tax write-offs or public subsidies? • Is the proposal privately financed; if so – what percentage? Criterion 5. Consideration of issues relating to property rights and ownership in relation to heritage protection. • Is it likely that the proposed project would raise property values? • Is it likely that the subject proposal might infringe any property rights? • Would the use of the existing building or ability to change it be limited because of the conservation measures legislated? • Have enough heritage incentives been provided to the private owner/ developer of the site to offset the costs of conservation? • Would the proposed work result in higher or average ongoing maintenance costs as a result of the conservation works required? • Would the local community benefit from the proposed conservation and re-development work on the site? • With respect to the heritage obligations, does the owner or the developer of the subject property feel that his/ her/ their interests have been correctly balanced against the public interest? • Does the owner/ developer of the subject site fully comprehend their obligations with respect to the ongoing stewardship of the heritage values contained within the subject property irrespective of the private ownership of the subject land? • Does the owner/ developer of the subject land understand that the local, state or responsible national government authority may intervene at any time if it is discovered that the owner/s of the heritage resource are not adequately caring for or safeguarding and maintaining the subject heritage resource? Fines and prison sentences may apply. I am hoping that the above framed questions might lead to a more rounded and holistic assessments of heritage impact and in the future, I would like to see our assessments incorporate the wider dimension of the issues enunciated above.